Is It A Bird?....Is It A Plane?....No, It's A Flying Car! Lancaster, Morecambe, Heysham, Halton, Middleton, Overton, Cockerham, Carnforth, Warton, Silverdale, Bolton le Sands, Hornby, Caton, Wray, Wennington, Dolphinholme, Forton, Glasson Dock, Hest Bank. If your area is not listed either call or email and we will check if we are able to cover your area. Lancaster, Morecambe & Heysham are the free callout area, If you live outside that area we may charge a small fee to cover fuel expenses, this will be agreed before accepting the job. Is It A Bird?.... Is It A Plane?.... No, It's a Flying Car! Top 10 Awesome Robots in the World! Ho, Ho, Ho...ly crap! 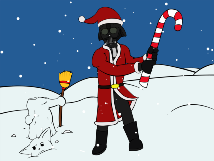 It's almost Christmas! 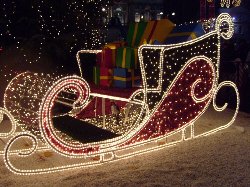 Whether you're a modern day Scrooge or you've been counting down the days since August (we all know that person), Christmas will soon be upon us. Finding the perfect gifts for loved ones is without doubt the most stressful part of Christmas for many of us. So to make things that little bit easier for you we've put together a selection of simply the best gift ideas, ranging from stocking fillers to the slightly more extravagant for the technology lover in us all. 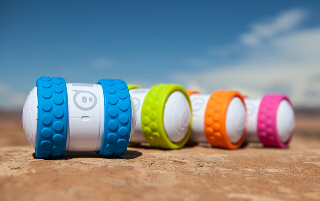 Top of our Christmas list this year is the unbelievably fun Ollie from Orbotix. Ollie is the Tony Hawk of the robot world. 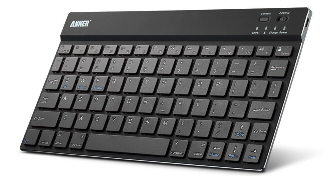 It is designed to be fun and it fulfils that objective with consummate ease and at a great price. Ollie is quick, I mean really quick! It can reach speeds of 14mph and has more tricks up its sleeve than Gandalf! Ollie also has an impressive one hour battery life and the great durability to withstand the hundreds of high impact crashes that you will no doubt inflict upon it. 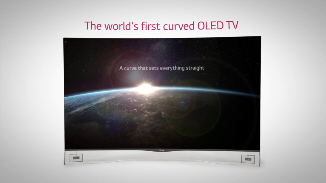 4K TV (UHD) is the future of TV, but if you are planning on replacing your 1080p HDTV any time soon we recommend going for OLED (Organic Light Emitting Diode) rather than LED,LCD or Plasma due to the far superior picture quality. 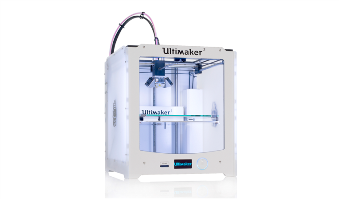 The technology is new and still relatively difficult to manufacture and so is still fairly expensive. To put the above rather hefty price in perspective though, it has dropped from almost £8000 one year ago due to improvements in manufacturing techniques. We have had the pleasure of seeing this TV in action and the picture quality is nothing short of phenomenal, with unbelievable colour and contrast levels. 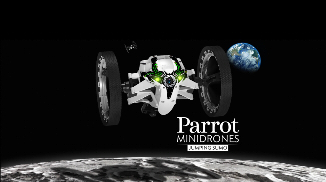 The Parrot Jumping Sumo Minidrone is one of the latest creations from the experts in commercial drone technology. Like some of its predecessors, the drone can be controlled directly from a smart phone or tablet (Android or iOS), and is capable of taking images and video should you want to record your high speed chase of the family pet. The really impressive thing about this particular creation though is it's ability to leap 80cms in the air from surface to surface allowing you to move around the environment with ease with the drone designed to always land on it's wheels. This coupled with the many cool stunts that the jumping sumo mini drone can do make this a great gift for kids or big kids alike. 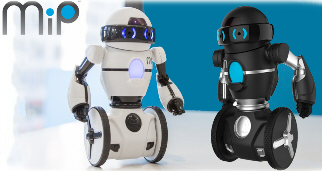 MIP is a really fun robot for years 8 and up with a variety of really cool party tricks. You can control MIP either with your hand via motion control technology or via an app for smartphones. MIP becomes even more enjoyable when you play with two together due to the various games available through the app such as boxing or laser tag and is sure to keep the kids occupied long after Christmas has passed. 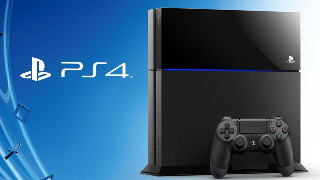 The PS4 topped our Christmas list last year, and it has justified our decision by establishing itself as the number one selling console on the market today with it's great power and comparatively low price. The PS4 will never be as powerful as a top end gaming PC, but in performance to price and pure gaming fun it's still a great gift idea this Christmas. 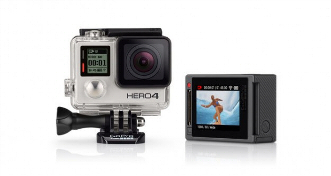 Whether you're recording a high definition first person view of your endeavours scaling mount Everest, bungee jumping from the Eiffel Tower, or the final of the over 65s amateur lawn bowling championship, the GoPro range is established as the best devices to record and subsequently share memories that will truly last forever.Check out the video above for some truly awe inspiring footage. We are still intrigued by these devices that promise to help you analyse and track different aspects of your life, including diet, exercise and sleep. 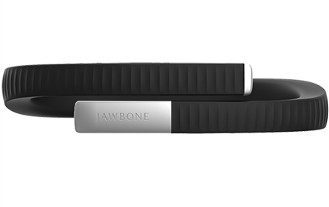 The Up24 by Jawbone uses it's Tri-axis accelerometer to track all your data and can sync automatically to your smartphone or tablet via bluetooth. There are even in app suggestions, such as how to try to improve your sleep, or whether you need to increase your exercise goal. Every Monday you will receive an email with a summary of all the information and statistics from the week. Over the last couple of years the market has seen several new devices that can give our power hungry smartphones a second wind. This in itself is unbelievably useful in today’s world, where we simply can't cope without our phone, or being able to check our social media news feed every 45 seconds to find out the latest gossip. The Cobra JumPack is another one of these devices, only this one can not only charge your phone several times over, or double as a torch, but it can even jump start your car or boat! All this from a device the size of a large phone is quite simply phenomenal and could be a real lifesaver. One of the drawbacks of the iPhone is the non upgradable storage and battery. 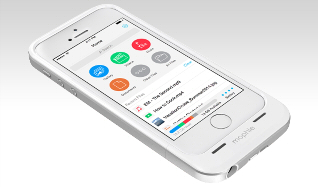 The Mophie Space Pack is the solution. It promises to double your battery life and also give you that much needed extra storage space for all your music, videos, photo and documents, so no more deleting to make room. All of this is accessible via the “Space app” by Mophie. Oh and let's not forget, it also does what a case is primarily designed to do and gives added protection to your phone. 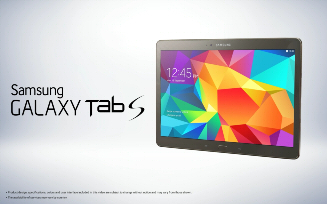 Samsung’s best tablet to date is finally a real contender against Apple's superiority in the tablet market. The tablet has a superb quad core processor and a breathtaking (albeit power hungry) super amoled 1600p screen that will really blow you away. MHL (Mobile High Definition Link) is supported too, meaning you can hook the tablet up to your TV to view content on the big screen. 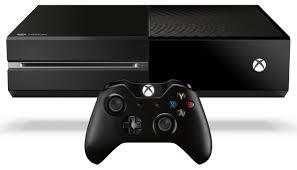 Microsoft have had a tough first 12 months with the Xbox One. Pre launch there were several high profile judgement errors and subsequent u-turns. Post launch hasn't exactly been plain sailing either. The higher initial price tag and lower specifications of the Xbox one compared with their main competitor the PS4 led to some drastic changes from Microsoft. They have now done away with the initially mandatory kinect system and drastically reduced the price to combat the PS4's early lead. In reality, both consoles are reasonably closely matched and the Xbox One would still make a great gift. I think we can all be in agreement, typing on a touch screen is where all tablets lose their appeal over traditional keyboards. 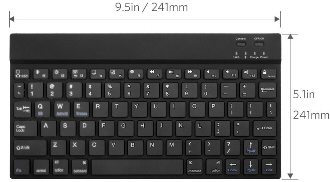 Thankfully with this fantastic bluetooth keyboard you can have the best of both worlds. Music can add something to many activities and social situations. 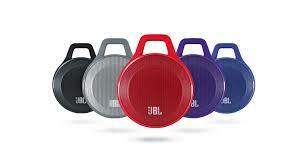 With this great quality, rechargeable, clip on, bluetooth speaker you can take your favourite music with you anywhere. Connect any audio device via the bluetooth connection and even have the ability to answer calls hands free thanks to the built in microphone. Passwords need to be unique and totally un-guessable by hackers or bots, this however holds a problem. The longer and therefore more secure the password is the less likely you are to remember it, also, multiply this by the million different things we have to have passwords for today and then it becomes almost impossible to keep track. The Yubikey NEO has been around for a while but is becoming all the more important in today's world. NEO helps you create one time passwords for multiple sites ensuring that your data is well secured. We hope you enjoyed our Christmas gift ideas. 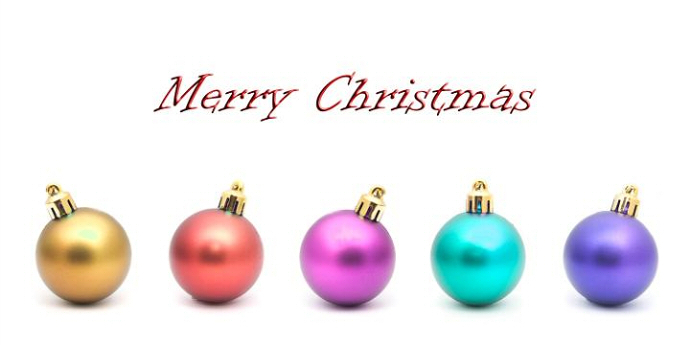 We wish you all a very merry Christmas and we hope Santa brings you and your loved ones all that you desire. Supernova PC Repair © 2019. All Rights Reserved.